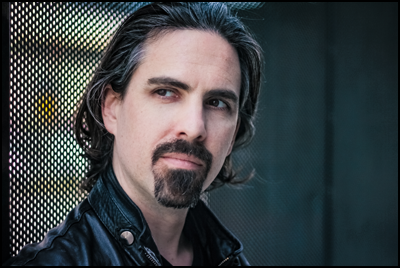 In the sleepy port town of Bellingham, Washington, sixteen-year-old aspiring composer Bear McCreary imagined and wrote his own films, just so he could score them. A chance encounter led him to film music legend Elmer Bernstein, who moored his boat in Bellingham harbor. The maestro recognized a passion for musical storytelling in the ambitious high school student, and encouraged him to study composition at the USC School of Music in Los Angeles, where he took him on as a protégé. Two decades later, McCreary has validated Bernstein’s instincts, having proven himself one of the most versatile and in-demand composers in the industry. McCreary’s most recent feature is the highly-anticipated Godzilla: King of the Monsters, Warner Bros. and Legendary’s follow-up to the 2014 hit film. This will not be McCreary’s first monster film, as he collaborated closely with producer J.J. Abrams on the Cloverfield film series, scoring the Paramount Pictures and Bad Robot films 10 Cloverfield Lane and The Cloverfield Paradox. Time Magazine raved that 10 Cloverfield Lane‘s “finest feature may be Bear McCreary’s playfully malicious score, a beehive of worried-sounding strings that channels the spirit of Hitchcock fave Bernard Herrmann.” USA Today praised the “fantastic wordless opening set to Bear McCreary’s roiling, glorious score.” McCreary’s incorporation of Blaster Beam, yialli tanbur and other exotic instruments into the gripping thriller drew upon his experience from his first job: scoring the influential and revered Battlestar Galactica. His music for that series was lauded by Variety as “innovative,” “like no other” by NPR, and earned him a coveted spot on Io9.com’s “Ten Best Science Fiction Composers of All Time.” From there, he quickly became one of the medium’s most sought-after talents. He currently scores AMC’s record-shattering global phenomenon The Walking Dead, as well as Joss Whedon and ABC’s hit series Marvel’s Agents of S.H.I.E.L.D..
McCreary’s wide-ranging recent film credits include MGM / Orion Pictures’ upcoming Child’s Play reboot, starring Mark Hamill as the iconic Chucky, the upcoming historical drama The Professor and the Madman, a historical drama starring Mel Gibson, Sean Penn and Natalie Dormer, and the Universal / Blumhouse hit Happy Death Day, a horror-comedy that made over $100 million dollars at the box office. He also scored the sleeper hit Anne Hathaway sci-fi-drama Colossal, director McG’s forthcoming Netflix film Rim of the World, the forth-coming animated feature Animal Crackers, Danny Strong’s J.D. Salinger biopic Rebel in the Rye, the critically-acclaimed documentary Unrest, and Disney’s Step Up 3D. In the video game world, he earned the prestigious BAFTA and DICE awards for his soaring score to Sony Playstation’s record-shattering 2018 hit God of War. His other video game credits include Ubisoft’s Assassin’s Creed Syndicate: Jack the Ripper, “Ryze: Call of Power” for League of Legends, and the ground-breaking television / video game hybrid Defiance. In recent years, McCreary has become increasingly recognized for his musical innovation. He won an Emmy Award for Outstanding Main Title Theme for his theme to David S. Goyer’s epic historical fantasy Da Vinci’s Demons. The theme itself a carefully-constructed palindrome (it sounds the same forwards and backwards), evoking musical homage to Da Vinci’s own writings. McCreary also received Emmy nominations for his work on the pirate drama Black Sails, from executive producer Michael Bay, Outlander, Ronald D. Moore’s global-hit adaptation of Diana Gabaldon’s acclaimed novels and FOX’s Human Target. He has twice been awarded “ASCAP Composer of the Year – Television” by his peers. Never content to work only in a darkened studio, McCreary has always enjoyed performing in concert. He has conducted performances of his music throughout North America and Europe, appearing at Fimucité in Tenerife, and the International Film Music Festival in Úbeda, Spain. He has composed concert commissions for the Calder Quartet and Getty Center, the Hagen Philharmonic and Ballet in Germany, the Television Academy, and the Golden State Pops Orchestra. In July 2014, Maestro Gustavo Dudamel conducted a suite of McCreary’s music with the L.A. Philharmonic and L.A. Master Chorale at the Hollywood Bowl.